We are having a themed book week in school, the week of Monday 26th February. Our theme is ‘Book Animals’. We are fortunate enough to have ‘Author Workshops’ for each class with our very own Kay Ghaye on the Tuesday and Wednesday. 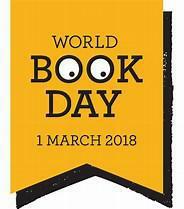 Thursday 1st March is World Book Day and we will all be dressing up as animals from books as well as doing ‘paired reading’ throughout the school, older children reading with younger children. We would like to invite parents to read their favourite children’s book to their child’s class at the end of the day on Monday 26th February, Tuesday 27th February and Wednesday 28th February at 2:45pm, a different parent each day. We will let you know if your name is drawn out. If you would like to participate in this, please fill in the slip and we will put all the names in a hat to randomly select a parent for each of the days and classes. Please hand the slip into school by Wednesday 21st February. Each child will also receive a ‘reading card’ for the week, to record how long they read for each day and where they read. A winner from KS1 and KS2 will be chosen on the Friday 2nd March for who has read for the longest length of time and there might also be a prize for the most interesting places they have read too! We are really looking forward to the week and are sure it will be a success.